Wirebound Wooden Crates | Laurentide Lumber Co. Ideal for bulk goods, our wirebound wooden crates are designed to accommodate higher lateral loads than standard wooden crates. Our wirebound wooden crates are easily stackable, since they are manufactured with steel wire that offers greater strength and sidewall pressure resistance than the standard steel strips used in the industry. We use premium grade wire that provides strong and durable reinforcement. What’s more, we can also certify your wirebound wooden crates to Canadian Food Inspection Agency (CFIA) standards for international export. 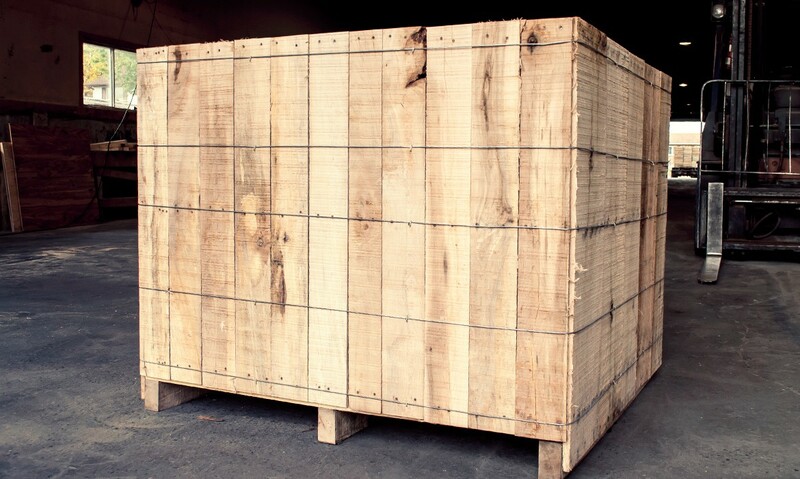 If you have any questions or comments about our wirebound wooden crates, or for any further information, contact our experts today. We’ll be happy to help as soon as we can. Our experts will be happy to take a look at your handling and storage needs and get back to you as soon as possible. All rights reserved 2015 © Laurentide Lumber Co.